This is good news that Assam Talk regional news channel temp. 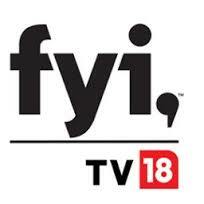 freetoair from Dish TV platform, Also new test channel "FYI TV 18" channel by Viacom18 going to be launch very soon, Test signal added on Dish Tv. FYI TV 18 is lifestyle TV channel. DD Freedish users can get Assam Talk 24X7 & FYI TV 18channel by tuning their set-top box at given below frequency. Please keep in touch more updates of DD Freedish other FTA channels.